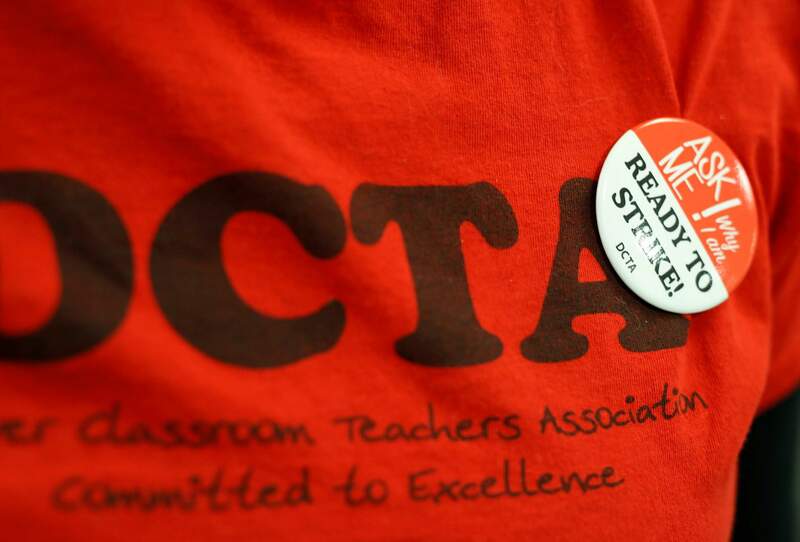 A teacher wears a button on a union shirt in the Denver Classroom Teachers Association, the union’s headquarters in south Denver. Teachers voted Tuesday to authorize a strike, which would be the first called in 25 years in the state’s largest school district. DENVER – Colorado Gov. Jared Polis is trying to see if he can help prevent Denver teachers from striking next week.